It created a woeful anxiety in me. 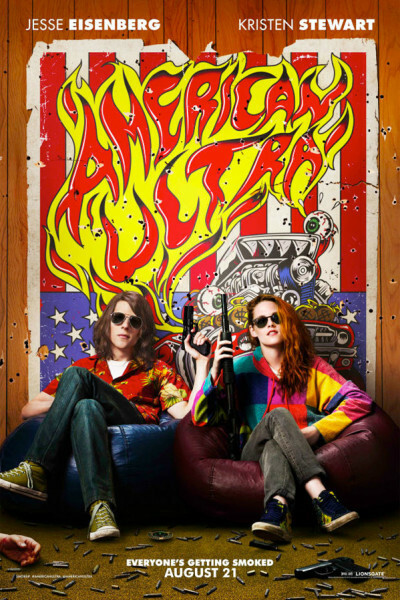 Jesse Eisenberg, Kristen Stewart and, for that matter, Topher Grace each have about one speed: "themselves." Eisenberg is always the awkward outcast, angling to be the smartest person in the room. Stewart the sullen misfit, behaving misunderstood. Topher the snarky wiseacre, deriding those around him. After a while, I just wanted to wander out, but being the trooper that I am, I remained to the bitter end. And so did my feelings about it: as bloody and violent as Natural Born Killers, and way bloodier than 1967's Bonnie and Clyde, but derivative and lacking anyone to root for or to see redeemed. It ended in a pulpy mess on the floor, which sounds about right.